BPW Valletta Malta could never take part in the Equal Pay Day activities as in Malta, the law for Equal Pay has been in place for years. But notwithstanding this, we have low numbers of women participating in high work positions. At one of our Board meetings, it was decided to try and reach young girls just before they do their school leaving exams and try and organise a mentoring morning - BPW Careers Day. One of our members was the Assistant Head of one of the best schools in Malta, and we tried a pilot project with just this school - 90 girls with 25 women mentoring the girls. It was immediately clear that this was going to be a huge success. Two months later we had another mentoring session with 110 girls from the Malta Girl Guides with 40 women mentoring the girls. We immediately felt that we should begin to organise larger mentoring sessions. The feedback we were getting from schools, teachers, parents and even the girls themselves was astounding. 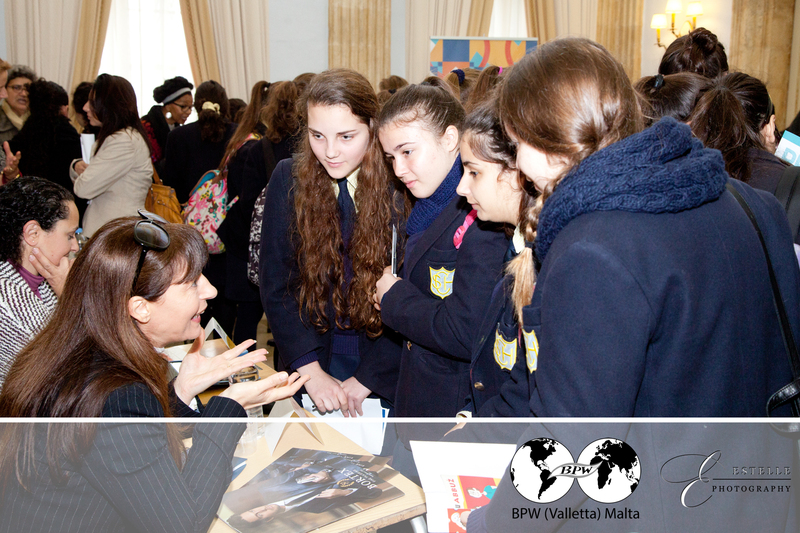 In 2015 we organised another BPW Careers Day, with 300 girls from four schools with 110 women coming to mentor the girls. And this year we had over 800 girls from 11 schools with 250 women coming to be mentors. We are planning an even larger one for 2017. This is a very strong and effective way of reaching young girls and get them to meet not only with women who have reached their potential but also with women on their way there. During this session, we can discuss BPW Careers Day and you can see how you can incorporate it in your yearly calander.